Will Rose Meadows have enough rations to make Edgar’s favourite pie? Will Norma Meader be able to get to the doctor’s in her lunch break? And why is Iris throwing her husband’s trousers out of the window, before she’s even ironed the other leg? Come along to the Greenway Centre on Saturday, March 30th to find out and meet the Meadows and the Meaders; two fictional families who were in Southmead from the beginning. Back by popular demand, and made possible by funding from Bristol City Council and Team Southmead, the many fascinating stories provided by you have been woven by local residents into this second episode of the Meadows to Meaders Community Soap Opera directed by Craig Edwards. People of Southmead will be performing real events from the 1930s to the 1960s, live at The Greenway at 12 noon and 2.30pm. Tickets now available from the Greenway Centre, Southmead. Listen to some of the stories we have collected that reveal another part of Southmead’s history and hear recollections of cows being herded along Ascot Road, memories of the first Teddy boys and one of the area’s longest serving residents remembering how she tricked an Air Raid Warden into a spot of gardening. Watch films capturing memories of the early years of Fonthill Road School, the Baptist Church Youth Club and that take a peek inside some of the first houses to be built in Southmead. Go behind the scenes and see how Meadows to Meaders evolved, with interviews with the stars and choice extracts from the very first episode of everyone’s favourite Southmead soap (below). In addition to the documentary that tells the story of the project we have also created a report that includes images and quotes from participants and audience that you can download as a pdf here. Meadows to Meaders began with a series of community research workshops at a launch event on Ascot Road, a visit to the Bristol Archives and at the 50+ Forum. This page presents a gallery of images that were collected at these events. We collected many memories throughout the project that led to four films made by Calling the Shots and pupils from Orchard Secondary School and a series of audio recordings made by Tot Foster of Wildman and Herring. Using all the material that was collected during the project a booklet was produced with members of the Southmead community through a series of writing workshops. This booklet is available for free from several venues in the neighbourhood and includes recipes collected by Travelling Kitchen. 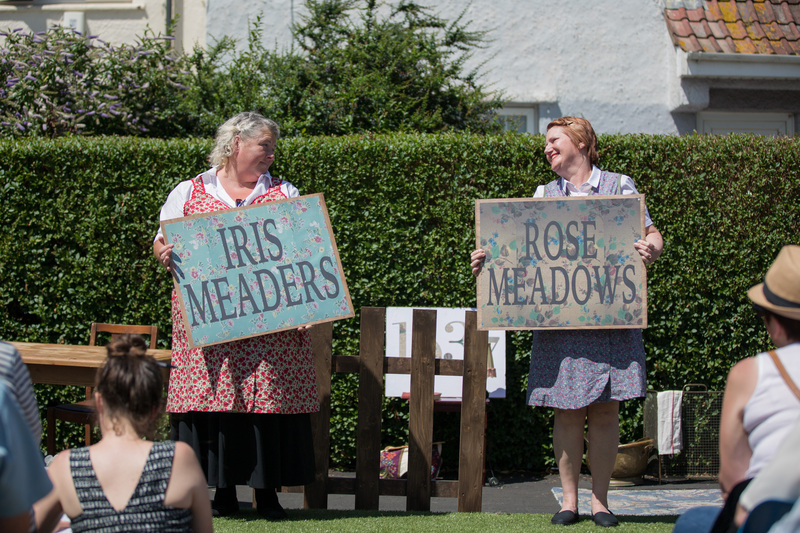 The community performance of the Meadows to Meaders soap opera on Ascot Road in July 2017 was the culmination of months of work with the Bristol Old Vic Engagement Team. A gallery of photos taken by Paul Blakemore at the event are available to view on this page.